Are you running joomla and do you feel that your site is slow? Then we have a few handy tips for you that can be helpful to solve the slowness of your site. The first step is to check the speed of your joomla website. You can use this handy tool Google PageSpeed insights that provides an overall status of your site. Bare in mind that the loading time can be affected by many things even your internet connection. A fast joomla site will make your visitors more happy when they visit your site. Therefore, it is important to choose the best hosting option available. Many users start with an inexpensive solution such as Shared hosting. However this comes with memory and storage limitations. The fact that you need to share a room with others can affect your business. With a dedicated joomla server, the entire room is yours. All RAM and storage is devoted to you only. So you don’t have to get upset with your noisy neighbours. Dual Core and Quad core dedicated servers are often considered to be the best hosting option for Joomla hosting. Compressing your images is a simple solution that can save you a lot of headache. Images can slow down the loading of your Joomla website. So you need to make a good selection of the pictures you want and you need to decide if all pictures are really needed. 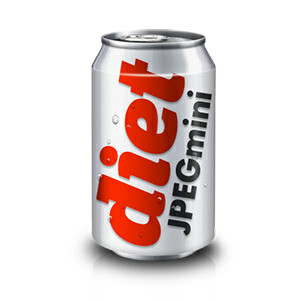 There are many programs available such as imageoptim.com or jpegmini.com to reduce the file sizes of your images, so use them to prevent slow loading images. This option will reduce your web page size and will make your web page load faster. All the CSS and html will be compressed on the server before it is transferred to your visitors. System → Global configuration → Server → “Server Settings”, then find option “GZIP Page Compression” and enable it. Take a good look at your website and remove all the unnecessary stuff. Make sure that you have updated all extentions, compenents and modules that are in use because some extensions or compentents can slow down your site as well.